Beware FXNobels is a Non-Regulated broker. It is NOT SAFE to trade. 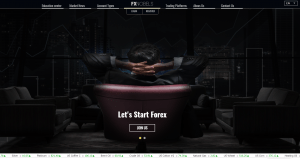 FXNobels is a Forex Brokerage that allows customers to trade Forex, Stocks and Cryptocurrencies online. The broker doesn’t disclose any information about the company behind the brand name. It claims to be located in Malta, but the confusing thing is that the contact phone number which the customers can call is British, but they also can text to the Maltese number. Despite the Maltese location and British contact number, the FXNobels is not regulated in Malta or the UK. Considering the above, we highly recommend to avoid FXNobels and select a decent and licensed broker instead. Here we should note that along with FCA, the Cyprus Securities and Exchange Commission (CySEC) and the Australian Securities and Investments Commission (ASIC), two other well-respected institutions, also enforce strict regulatory standards upon all brokers in their jurisdiction.